Donna Fenn is the author of Upstarts: How GenY Entrepreneurs are Rocking the World of Business and 8 Ways You Can Profit From Their Success (McGraw-Hill). Upstarts! deconstructs the DNA of a new generation of young entrepreneurs, analyzes their success strategies, and provides an important glimpse into the entrepreneurial landscape of the future. 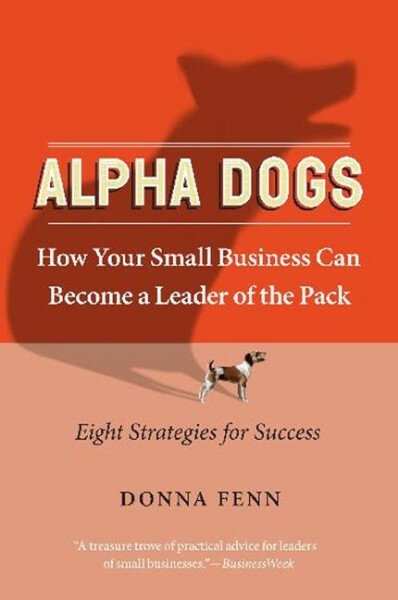 Fenn also wrote Alpha Dogs: How Your Small Business Can Become A Leader of the Pack (Collins). Alpha Dogs profiles eight extraordinarily successful small companies in very ordinary industries to illustrate how business success isn't about what you do but how you do it. In her presentations Fenn tells stories from the entrepreneurial trenches, imparting lessons learned by a variety of small businesses: a bike shop, an auction company, a chain of ice cream parlors, a sock manufacturer, and a commercial bakery. She explains how companies such as these, all lacking mountains of capital and stables of MBAs, nevertheless beat the competition and became marketplace leaders. Fenn lays out eight success strategies: innovation, customer service, branding, commitment to employees, alliances, use of technology, community engagement, and reinvention, to illustrate how any small company can become a leader of the pack. Small companies will come away with solid ideas to transform their own companies; larger companies seeking to market their goods and services to entrepreneurs, or hoping to create entrepreneurial cultures of their own, will gain valuable insight into the unique challenges of running and growing a small business. In 2001, Fenn was a co-recipient of the Women's Economic Round Table Entrepreneurship Prize, sponsored by the Kauffman Center for Entrepreneurial Leadership. From 1988 to 1992, she lived in Riyadh, Saudi Arabia, where she was a correspondent for The Associated Press and covered a variety of issues including business, culture, the economy and the Gulf War. She now lives in Pelham, NY with her husband and two children. "Donna is an extraordinary writer and speaker. Her professionalism, knowledge, and many case examples make an excellent contribution to the educational program of our meeting. Her session garnered an impressive evaluation!" "Donna is a wonderful presenter, with a wealth of information to share with entrepreneurs looking to create and grow a successful business." "Your honest, direct and enthusiastic presentation kept us all riveted. Your book, Alpha Dogs, very well portrays the successes and setbacks of small and mid-sized business owners. It is the best I've read in presenting the concepts that independent business owners should seriously consider implementing." 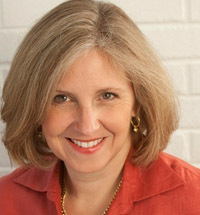 "Donna Fenn's whole career has focused on understanding the nature of successful entrepreneurs. The unique insights she's gleaned, the myriad business stories she's collected, and her engaging and humorous presentation style assure her audience is always in for a treat!" "By showing how ordinary companies used specific growth strategies to become market leaders, your presentation provided enormous take-home value for the participating women entrepreneurs. Your session was highly-rated by attendees and named a participant favorite in our post-conference evaluation."